Families having lunch with their children at school. Please check out our video and see the attached flyer. to offer two Dual Immersion programs? ﻿We are very proud to have launched a Dual Immersion Mandarin Program at Cherrywood Elementary School in the 2018 - 2019 school year. We are very excited to announce that we will be launching a new Dual Immersion Spanish Program in the coming 2019 - 2020 school year at Toyon Elementary School. Immersion education is an alternative educational model designed to provide students with fluency and literacy in two languages. In this program, all students develop literacy in Mandarin/Spanish first with the gradual addition of English. district, except that initially they are taught in Mandarin/Spanish for most of the day. ** Please note: Student language classification will be considered to meet 50% classroom balance. Additional Dual Immersion Program information is available through the Educational Services Division at the District Office; please contact (408) 923-1828. Welcome to the new school year! My name is Krista Castillou and I am excited to introduce myself as the new principal at Toyon Elementary School. I am honored to have the opportunity to join a school with such a rich tradition of education! Over the last twenty years, I have been dedicated to the field of education. I have worked with a variety of students’ ranging from preschool to eighth grade in a variety of roles, from teacher to administrator. I am committed to ensuring that your child is engaged and motivated in innovated and joyful learning experiences. I believe that each of our students will be innovators and leaders who love learning. I look forward to getting to know you and your families. Learning is important to us at Toyon. It is up to all of us to provide an environment where are students feel welcome and safe. Over the coming weeks and throughout the school year, your teachers and I will discuss with the students what it means to be respectful, responsible, safe, and kind. Please support us at home by having focused conversations with your child about what it means to be respectful, responsible, safe, and kind. It is my goal for every child to feel safe and play a leadership role in our Toyon community. All of us at Toyon Elementary School are eager and excited to begin the 2018-2019 school year. This year is going to be amazing as we continue to provide academic experiences for our students that are rigorous, relevant, and help them build relationships while making real-world connections. As your principal, it is important to me that everyone who steps through our doors- teachers, students, and parents- are excited to be here! This attitude enables us to meet the challenges of academic excellence in a positive, fun, and nurturing environment. If you have any questions, please contact me via email or phone. I look forward to meeting you soon. Toyon creates innovators, inspires leaders and sparks love of learning. The staff at Toyon supports the mission of the district. 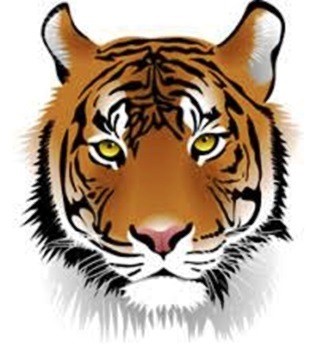 Our core values are tigers lead with ideas and motivation. Our dedicated and qualified staff is committed to the academic, social, and emotional development of all students. Each teacher teaches the Common Core State Standards and the Four Cs: communication, collaboration, critical thinking, and creativity. State adopted textbooks, as well as, Common Core supplemental materials are used in the classrooms. Members from both certificated and classified staff, a parent representative, and a community representative make up Toyon’s Lighthouse team where we focus on the school environment, academics, leadership roles, mentoring, and work-life balance. The staff at Toyon agrees to find the genius in every child and provide leadership roles for each student. A full range of special education services are available to identified students at all grade levels. Programs are available to assist in the development of English language proficiency for students learning English. Proficiency is focused in the areas of reading, writing, listening, and speaking. We “triage” all students who are at risk of academic failure three times yearly to develop a plan of services to help them attain academic, social, and emotional standards. Students benefit from our after school Homework Club. Project-based learning, study trips, after school enrichment (Coding and Robotics, Kindergarten, GATE, Art, and Mandarin) and assemblies add to the depth of knowledge for our diverse group of learners. Morning announcements are done every Monday to inform students of the week’s schedule and the Golden Paw winners. Every month, we award students who demonstrate proficiency on a habit. Awards are given for improving or scoring met or exceeded on the Smarter Balanced assessment, perfect attendance, and at the end of the year at Principal’s Award Night for honor roll and fifth grade student standouts. Parents and community members play a vital role in the success of all children at Toyon School. They contribute in a variety of ways, such as being on the Parent Teacher Association (PTA) and School Site Council (SSC). Other district opportunities include District English Language Advisory Council (DELAC), Measure K and L Oversight Committees, and Berryessa District Advisory Committee (BDAC). Our invaluable volunteers help from home and in the classroom and during field trips. They also mentor at-risk students with the 7 Habits of Highly Effective People. Toyon has partnerships with the YMCA and YSI Alum Rock. YMCA provides an after school program. Toyon students collect water bottles for recycling and turn it into cash, and then the cash is donated to YSI. For our Spanish-speaking families, we offer a parent education program called The Latino Family Literacy Project to show parents how to build literacy skills in both their primary language and in English. This program runs once a week for ten weeks in the fall. We also provide parent workshops quarterly in the evening on social-emotional wellness and safety on the Internet and educational apps. Coffee with the Principal and Title I meetings are held monthly to provide parents a forum to share their ideas or concerns about our school. We believe that all students are capable of succeeding in school. From early on, our students understand what it will take to be successful when they learn the school motto: Take care of yourself, take care of others, and take care of our school. The Toyon staff is dedicated to taking care of our kids and we are excited about what the future will hold for all Toyon Tigers! Join us for Social Wellness and Technology Parent Information Nights!